Meta tags play a very important role in search engine optimization (SEO), because they summarize website data. Quite simply, meta tags help search engines understand and rank webpage content. 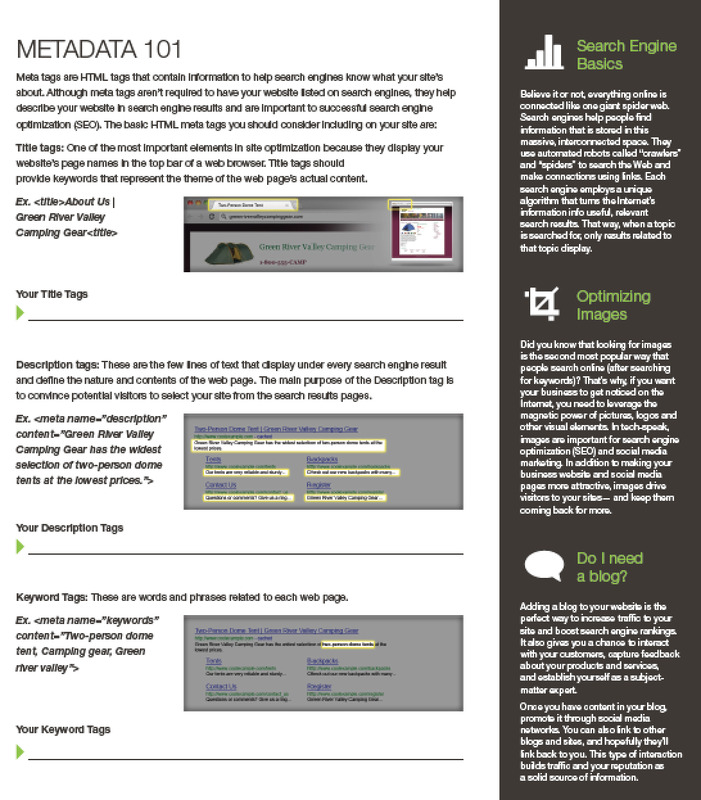 Meta tags are often evaluated by search engines to help index and rank websites by relevance. When you write content for your website, it’s important that you include SEO HTML tags, also called metadata, to your website to help search engines know what your site’s about. While this guide will help you understand how to use meta tags for SEO, you should know that metadata isn’t required to have your site listed on search engines, but it should help give your site’s ranking a boost. Meta tags are considered important to successful search engine optimization. Title Tag: This defines each of your pages’s names. It displays in the top bar of a web browser. The Title tag should provide keywords that represent the theme of the actual contents on the web page. Header (H1) Tag: The H1 Tag describes what the web page is about. The H1—or header—should include relevant keywords, but shouldn’t be longer than a short sentence. Meta Description Tag: These are the few lines of text that display under every search engine result. For example, when you search for something on Google, typically a list of web pages display with a brief explanation of each page. The description should include the keywords from the title tag and summarize the page, but the main purpose of the Description tag is to convince search engine users to select your site from the search results pages and take a look inside. Image Tag: The image tag should include alt (alternate), title, and src (source) attributes. Search engines use the text in image attributes to categorize the images on your site, so they should contain relevant keywords. Keywords: These are a complete list of words and phrases related to your web page. This tag has been abused and is no longer important for SEO. One of the best ways to “optimize” a page is to ensure that appropriate keywords are used in the title, content and meta tags. You can learn the basics of adding these tags to your website from W3Schools here. Editor’s note: GoDaddy’s GoCentral is a website builder that automatically optimizes for SEO. It improves your rank on search engines. It helps you choose effective keywords for your business, and even places tags or page titles on your site automatically.